Dimitrios (ATHENS, Greece) on 30 July 2008 in Sport & Recreation. Its time to go underwater and try to describe the beauty as well as the difficulties of taking picture underwater. The location is the Aegean sea surrounding the island of Alonissos which belongs in the Sporades complex together with the islands of Skiathos and Skopelos. Please take a DEEP BREATH and follow me………. 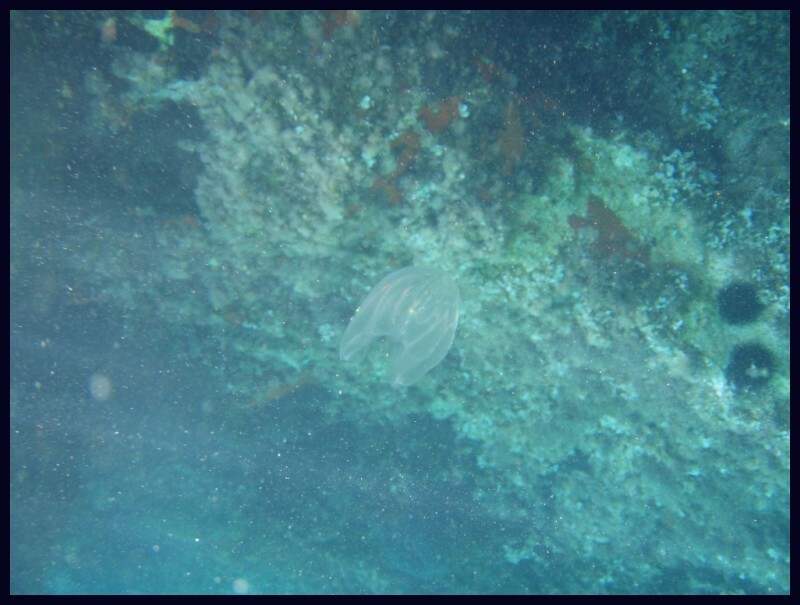 During this dive I encounter lots of phytoplankton. This is a slowly moving swimmer but its very hard to focus on because it is small, 3-4 cm long and very transparent. What was fascinating about it was that as the light was falling at a certain angle upon it it made all the colors of the rainbow appear on it! This photo is my best attempt to capture this wonderful light but believe me it was almost IMPOSSIBLE. To watch them close by it was an INCREDIBLE experience. Underwater photography must be a wonderful challenge, I'm enjoying this series. @Pied Crow: HAPPY that you DO, you are most welcome underwater! @Nicholas: greetings Nicholas, stay tuned! Wish I could get down there too! Looking forward to more.